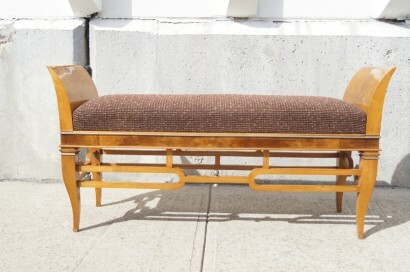 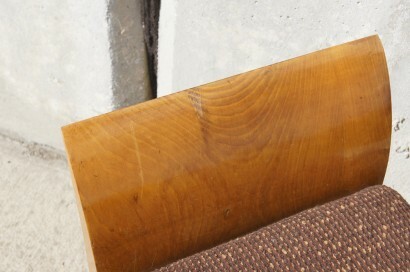 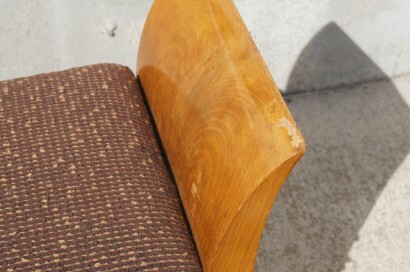 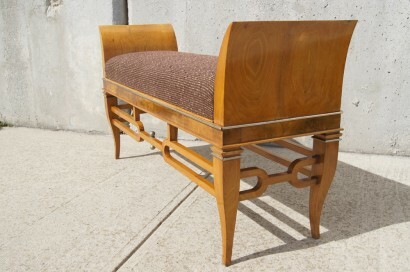 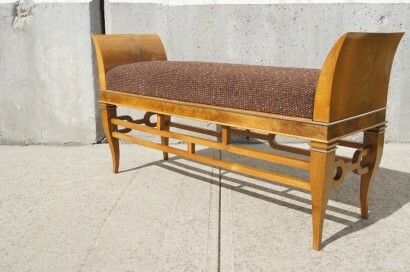 Attributed to Tomaso Buzzi, an associate of Gio Ponti, this walnut bench was made in Italy in the 1930s. 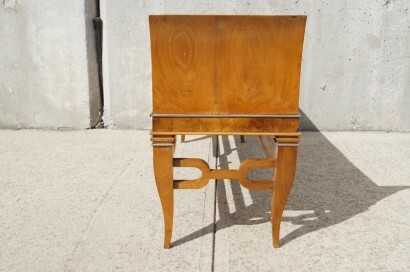 It is an excellent example of Italian art deco design. 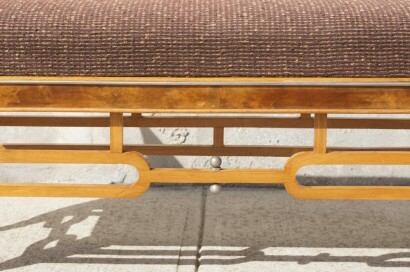 The walnut burl is inset with metalwork trim and the nubby upholstery of the seat contrasts with the bench’s elegant lines. 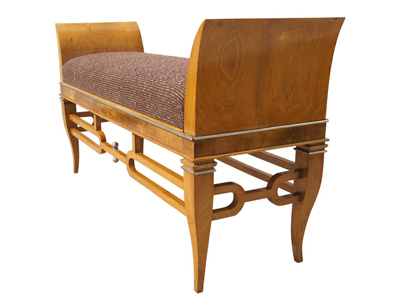 A corresponding demilune console table with mirror is also available.